We have in store for our clients a comprehensive assortment of Cellular Concrete Aluminium Powder that are extensively demanded by our clients engaged in manufacturing of cellular concrete. Appreciated fore being fire retardant and lightweight, the cellular concrete aluminium powder offered by us can also be customized to suit the specific requirements of our clients. We supply a high quality Cellular Concrete Aluminium Powder Conc-75 that is manufactured using accurate formulations. Owing to its light weight and purity, these are widely used in several industrial applications. Our range is quality tested as per international standards and offered in proper packaging to ensure safe delivery to clients. 1. 440 mm dia 740 mm height with 7" dia mouth, inner lid and outer capseals. 2. 205 liters capacity m. S barrels. We offer high quality cellular concrete Aluminium Powder, that is widely demanded by our clients engaged in manufacturing of cellular concrete. Manufactured using quality material, our range is widely appreciated for its pure composition, lightweight and is fire retardant. Further, we also provide these powders in customized specifications to the clients. Packing 1. 440 mm dia 740 mm height with 7" dia mouth, inner lid and outer capseals. 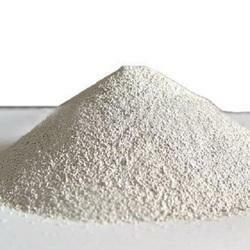 With our years of experience & in-depth knowledge in this field, we are engaged in offering a quality-assured array of Cellular Concrete Aluminum Powder. We provide a range of Concrete Aluminium Powders, that are manufactured from quality raw material using advanced technology. 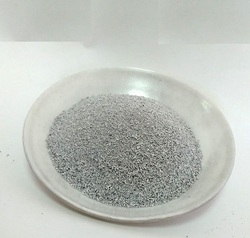 Processed in line with international quality standards, our range of aluminum powder consists of pure aluminum. Used in concrete industry, this powder is lightweight, easy to handle and dry blend with other components. 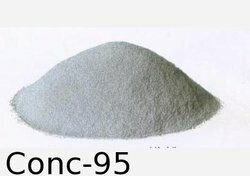 Our range of cellular Concrete Aluminium Powder Conc-95 is manufactured using quality ingredients. These powders are used in the manufacturing of cellular concrete and widely appreciated for being fire retardant and lightweight. We provide our range in proper packaging material in order to ensure safe delivery at clients' end. 2. 205 Liters Capacity M.S Barrels. 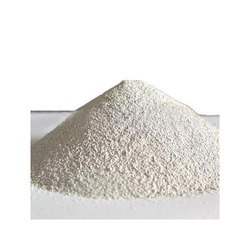 We bring to our clients cellular Concrete Aluminium Powder, that are widely appreciated for their accurate composition, purity and lightweight features. Our range is manufactured using quality raw material and as per the international quality norms. Further, these powders are available in different grades and specifications to meet the diverse requirements of clients. Looking for Cellular Concrete Aluminium Powder ?